Width: 3 in. Weight: 0.7 lbs. Nice little light. Fairly sturdy design and easy to use. The rotating adjustment for the light beam width is useless. There is almost no notable change in output. The light turns on/off with a small button, which would have been a good opportunity for Bosch to add brightness levels depending on button pushes. Works great doesn't last long though! Love it that's why I bought another, they only seem to last a year or so then no replacement bulb? It's a throw away type tool but does work great while it last's. 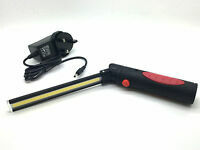 Like the light have already used it in a confined space. It has some good features and great build quality. 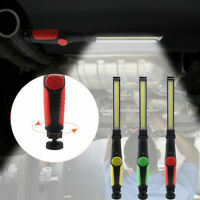 Just need to come up with a light that offers 360 degree light coverage because in a confined space that is a must. Small but powerful. Very versatile and well made. Just as advertised. Good value. Hard to go wrong with Bosch.